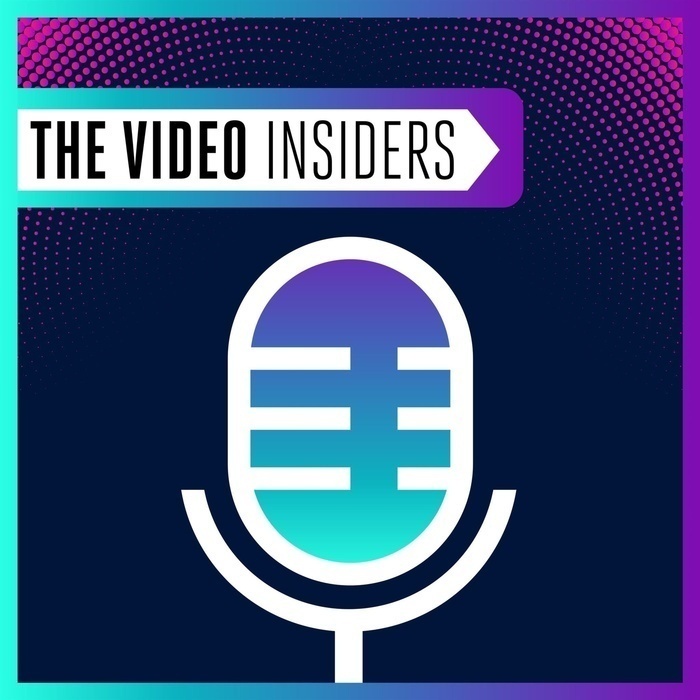 Join The Video Insiders hosted by Mark Donnigan & Dror Gill as they wrestle with the hottest topics on the minds of streaming video professionals. Nothing is off limits - video compression, codecs, encoding, transcoding, workflows, technology trends & business models - The Video Insiders & their guests cover it all. 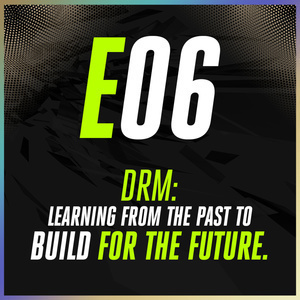 DRM – Learning From the Past to Build for the Future with Christopher Levy from BuyDRM. In this episode, we catch up with the President & CEO of the company who won the 2018 Frost & Sullivan Global Content Protection Entrepreneurial Company of the Year Award, where we talk about DRM and its ever-changing role in the video industry. Mark Donnigan: 00:00 This episode on DRM was so meaty, that we decided to jump right into a nine minute segment of Dror talking with Christopher Levy, who is President and CEO of BuyDRM, about how DRM technology fragmentation came to be, and the strategies behind DRM as a platform lock in. After this extended clip, we resumed the rest of the interview. You will definitely want to keep listening. Here's Dror and Christopher Levy. Dror Gill: 00:35 This is really an interesting trend you're talking about. On one hand, you have these silos, and the silos include the software platforms, the hardware devices, the content, and the DRM mechanism, which is made by a certain, by a specific company. Now, some of these companies have interest only in parts of this type of ecosystem. For example, Samsung have devices, they have a software platform, they don't have their own DRM, and they don't have much content of their own. So, now this collaboration with Apple is bringing more content, a lot more content, to Samsung devices, and bringing a lot more devices to Apple's content. We all know, all of you know, the rumors about Apple expanding their content service to be much wider than it is today, so it really makes sense. Dror Gill: 01:37 The topic you raise of which DRM will be used to enable this collaboration or cross-streaming of content between platform is really a very interesting issue. Another point you mentioned, which, you know, I can really resonate with, is the fact that standardization has happened across the video ecosystem in things, in components such as codex, packaging, controller mechanisms, manifests, things like that. And, DRM, although there have been attempts to standardize DRM, there has always been some internal component of that DRM that remained proprietary. That remained part of a closed, in siloed ecosystem such as PlayReady and Widevine, and this always struck me as kind of odd that everything else is standardized, and even the you know, mechanisms of exchanging keys in DRM's are defining DRM protocols. Dror Gill: 03:08 Everything is standardized but finally, the key. Those very large companies do not want to give up the key. The key is what they control, and it is the key of opening the content, but also the key to the whole ecosystem, and platform which enables their own platforms to grow. Dror Gill: 03:31 My question is, and referring to the fact that you also said that more and more layers or components of DRM are being standardized. Do you see somewhere in our near future that finally this content protection component will also be fully standardized, and in the same way that we're now having the harmonization of HLS and DASH with CMF, have harmonization of different DRM systems, and no single company would control those, this key to the industry? Christopher Levy: 04:10 You make a really good point that, you know, in essence DRM and Codec have had similar kind of evolutions over time. If you look specifically at the DRM industry, and not to make a short story long, but to kind of paint a picture of why we're at, where we're at, you've got an odd mix of singularities that it would seem would leave almost no possibility that there would be a marketplace for DRM where their companies would have to pay for it, or that companies would continue to invest in it. Christopher Levy: 04:46 I mean, if you fall way back to the beginning of the invention of DRM per se, as we know it, you fall way back to a meeting between Intertrust and Microsoft in, I think late 1999, where they agreed they were going to collaborate on some stuff. But then, at some point when Reciprocal launched, and decided that they were gonna partner close with Microsoft, Intertrust made an offer to Microsoft." Hey, give us two hundred and fifty million dollars, and license our technology," and a certain gentleman at Microsoft made the decision with his team to say, no. Only to later than lose a multi-billion dollar lawsuit to Intertrust, and Bill Gates wrote them a check that later allowed them then to go pursue every single company in the world that uses DRM. And so now, you've got Intertrust, who has a DRM, Marlin, that nobody uses in the U.S., only uses it in China, but Intertrust doesn't have a browser or an operating system. But, they own all the intellectual property around DRM, and so Apple, Microsoft, Google, Samsung, Sony, anyone in the world who touches DRM has had to take a license from Intertrust. Christopher Levy: 06:00 But, then Intertrust, wasn't able to be successful with their own DRM technology, because, as I mentioned, they're locked out when it comes to having a browser or an operating system. So, they actually have somewhat abandoned Marlin, and moved to support Google, Apple, and Microsoft's DRM's. But then, you look at them and you say, "Okay, what would drive these companies to integrate such, so they an be interoperable?" Because that's kind of what we're talking about here, is how are Samsung and Apple gonna interop, but how is that gonna help everyone? Including HEVC, and what you find out is, that you know, DRM was clearly created. When I say created, when it was commercialized by Apple, Google, and Microsoft, it was obviously done on two kinda bifurcated paths. Christopher Levy: 06:46 One, to satisfy potential looming lawsuits related to record labels, and studios, and artists, and creators, and content owners, pointing a finger at these large companies, saying your technology platforms are massive piracy platforms. Secondly, it was done as a platform play, to get you to use the platform. I mean if we look back at PlayReady. PlayReady was a technology that was completely driven to lock you in to using Windows based technologies, and Microsoft based technologies. Christopher Levy: 07:16 Now, if you pull that out, if you pull Intertrust, and Microsoft completely out of the DRM discussion, and you just look at Apple and Google, who really are driving the entire industry now. They both have been using DRM to date, and on both those paths. To satisfy the lawyers, and to satisfy the lock in, and that is just where we're at, but, now the market has gotten so saturated. Christopher Levy: 07:42 Google has not been successful selling devices. The Google Chromebook is a disaster. The Google Pixel phones are not selling as well as Google would expect they would sell, as the inventor, and owner of Android. So, now you get down to, okay, DRM previously was a legal thing, it was a lock in thing, but now, what is it? And I think what we're starting to see come to light is, that with the movement of common encryption, by you know, different various parties, the movement towards CMAF, the movement away ASCTR encryption, that was designed in PlayReady, into CBC encryption, we're really close to having a CMF, CMAF file, that using common encryption would have decryptors for Fairplay, PlayReady, and Widevine. Christopher Levy: 08:37 So, we're getting very close to that. A deal like this, that Apple and Amazon have struck. It really could be the gas to the match. I sense that there's gonna be a push through here, the technology, Apple's Fairplay has gotten a lot of deployment experience now, so there's a big community contributing back to Apple. Christopher Levy: 08:57 Apple has a very small team, if you knew the number of people working a DRM in Google and Apple, you would be shocked, and yet, they're converging. And, I think the reason they're converging, is that, you know, the consumer in the end, is dictating what they want, and consumers have made it very clear they want, you know, Samsung smart TV's. They want Apple TV's. They want Android tablets. They want Apple IPhones. Christopher Levy: 09:24 I think both of them now, are gonna take a little play out of Steve Jobs DRM playbook, and probably find a way to cross pollinate their businesses, because Apple's not in the search business, you know. They try and interact in the home marketplace, but Google already owns the home, outside of Alexa. So, it's interesting, you know, to just clearly take one stab at it. I would say that we are headed towards complete inter op ability and that has a lot of benefits. Christopher Levy: 09:57 It benefits operators, in cost reductions. It benefits consumers, in less confusion and playback stops. But mostly, it's gonna give Google a shot at, you know, exposing their offering to Apple's audience and vice versa. Announcer: 10:15 The Video Insiders is the show that makes sense of all that is happening in the world of online video as seen through the eyes of a second generation Codec nerd, and a marketing guy who knows what Iframes and macro blocks are. Here are your hosts, Mark Donnigan, and Dror Gill. Mark Donnigan: 10:36 Let's rejoin the interview with Christopher Levy from BuyDRM. Christopher Levy: 10:41 To kind of just give a quick summary, the company is one of the dark horses of the content protection, and DRM business. We have a pretty well known brand as a company. We have extended our platform out pretty widely in the business. So we have a Multi-DRM platform called KeyOS, and we have a couple of different components of it. Christopher Levy: 11:03 We have the encryption tools, we have the licensing tools, and we have the player tools, and we're integrated with about fifty different encoder server player companies in the marketplace. We service some of the major brands that you might be familiar with, like BBC iplayer BBC sounds, Sony Crackle, Showtime OTT, Blizzard, Warner Brothers, and we do a lot of work that we're not really at the liberty to discuss. Christopher Levy: 11:30 But we do a lot of pre-release work as well. So, a lot of the focus in the business is on consumer media, but we also have a pretty significant business that's, you know, pre-release. So, Digital Daily, Screeners, Academy voters. We are very active in the Academy voter space. We currently host Apple Fairplay certificates for the five largest media companies in the world today. Some of which you're familiar with, I'm sure. Christopher Levy: 11:57 To kind of fast forward, the company is privately owned. We are profitable. We own the company, myself, and the Chairman, Ron Baker, is my partner in the business, and we have different development teams based around the world. We've got our core team in Riga, Latvia. We have a team in Moscow, and a couple of people in St. Petersburg, and then we also have some people in Paris that work on our Android and IOS SDK's and our CTO is in Vancouver, and the company and myself, and the sales marketing management teams are all based in Austin, Texas, and yeah. Christopher Levy: 12:34 Just to fast forward, we, late last year, for the first time ever, in the Frost and Sullivan Global Content Protection Report. This report is, you know, it's kind of a bigger picture report. It's kind of what they call content protection includes casts and DRM, so we are listed in the report with some of the heavy weights like you know NAGRA or Detto. But we were included in that report, and we ultimately were selected as the entrepreneurial company of the year for our variety of different business models. Christopher Levy: 13:07 You know, we pride ourselves on having a very strong core DRM platform. But, we also now license our technology, so we've expanded into India, and all over Europe. We have several large major gaming companies, media companies that now run our software in their own data center, in their own cloud. So, that kind of vision shift in the company, I think is what got us over the goal line with the award. Christopher Levy: 13:30 But, we're just you know, wrapping up one of our best years ever, if not our best year ever, last year. And, we're just kind of waiting to see all the different crazy announcements that come out of CES, you mentioned our team is there on site. But, I'm closely watching the announcements that Apple made about partnering with Samsung in LG, because it creates some very interesting possible synergies that all of us can benefit from. Mark Donnigan: 13:56 Definitely. We're tracking that very closely as well. I mean, let's start there. Christopher Levy: 14:03 Well, you know, the DRM industry at large is very interesting, because it has become a bit of the political third rail of digital media, as I'm sure you all know. At this point, each DRM technology is siloed into a global technology company. So, if you start left to right based on the kind of market, you know, availability of the product, you had Microsoft with PlayReady. PlayReady runs in IE and EDGE, and on Windows natively. You've got Google with Widevine that runs in Chrome, primarily on Windows and Android, but also runs in IOS. It's the one technology that runs on all three platforms, and you've got Apple's Apple Fairplay DRM, which really only works in Safari on MacOS, and Safari on IOS, and it works for tvOS. It will also work possibly on other products, we may find out here soon. Christopher Levy: 15:11 I have to be careful what I say, but to kind of track what's going on, you know this announcement that Apple made about being able to move their business offering over to other platforms, I think, was largely driven by the tipping point of the iPhone sales over the past couple of years. It's no secret that Apple's last couple of iPhone product lines have not sold that well, so that's created kind of a tipping point in the company where now, they're trying to figure out, okay, where do we go next? And clearly Apple has a massive media empire. Christopher Levy: 15:45 They're one of the first companies to ever have a license to just about every song, and movie, and TV show that consumers in America are familiar with. And, they obviously have a globally strong brand. But, because DRM has been a political silo, today, you know, iTunes doesn't appear on Android. It doesn't appear on Tizen. It's not on Ruku. It's not on Smart TV's. But, that is going to change, and the question is, how will it change? Christopher Levy: 16:13 And to kind of give an example, if you take a look at Roku, who has gone through a similar transition where they were a streaming puck company, they were a streaming stick company. Then, Amazon entered the streaming stick company, and entered with Amazon prime, and Roku then suddenly decides, now, it's a content company. But, it also wants to get eyeballs and users onto it's platform, regardless of the direction it's going, and so Roku had to go. To support YouTube, they had to work with Google to implement Widevine DRM on the Roku platform, which previously was a PlayReady, and Verimatrix platform, natively and solely, and so that model where Roku kind of stepped over the fence and implemented Google's DRM to get YouTube is an interesting example of maybe what's going on with Samsung. We don't totally know yet. What Samsung and LG are doing, and we have our feelers out, and of course, we've talked to Apple pretty extensively about it, because we have a very close relationship with Apple as one of their frontline partners in the industry. Christopher Levy: 17:18 But, I think it plays out one of two ways, and it is somewhat DRM dependent, and Codec dependent, because of the fact that Apple is either going to allow Samsung to distribute iTunes on their platform, or really Apple is gonna distribute, I say, because it's an open app marketplace. But, Apple has a decision to make, and it's, do they deploy it using WideVine, and reformat their application platform to use Widevine DRM instead of Fairplay, or does Samsung jump the shark and implement Fairplay? Christopher Levy: 17:54 Because at the core of all these DRM's, the encryption decryption components are almost identical. At this point, all three DRM's us AES one twenty in encryption. There are some various different tweaks there, with regards to, the encryption mode CBC, verses CBR, but we're starting to see some standardization. I'm sure you're familiar with, with around formats. I personally believe it could go either way, or it could go both ways, because if Samsung were to implement Fairplay on their newer platforms, that would create a whole new synergy between Samsung and Apple that, oddly enough, hasn't been destroyed by the multi-billion dollar IP lawsuits that have gone back and forth between the two of them as vendors and competitors. Christopher Levy: 18:40 But on the other hand, I could see, you know, Apple just wanting to push it out through Widevine, because if they got iTunes to work with Widevine, and I mean iTunes video is what I'm focused on, then the majority of the relatively, recently shipped Samsung TV's, more than likely, can all support iTunes. Which would be kind of cosmic shift in these siloed offerings that all fall back to DRM. Am I right? I mean, Apple's got iTunes on Fairplay. Google's got Google Play on Widevine. So, it's an interesting thing that's gonna happen. I am very curious myself. Mark Donnigan: 19:21 It does sound like really good news ultimately. It's interesting your observation about, you know, the platform lock in. I'm thinking back to when I was active in the DECE, which became the ultraviolet, you know, which, was really revolutionary at the time. Because, you know, back then, you consume content from a particular store, if that was Vudu, for example. You were locked into Vudu, right. You know if Vudu wasn't on a particular device, then I was also locked in to the devices I could watch it on. Mark Donnigan: 20:00 So,the consumer now is going to enjoy the benefit of this truly, any content, anywhere, on any device, at any time. You know, so, that's all very good things. You know Christopher, I was reading your blog and by the way, listeners should definitely go to the blog, why don't you tell them again, I just I don't recall the actual url. Tell them the address of your blog. Christopher Levy: 20:29 Yeah, it's really simple to remember it’s: thedrmblog.com. Mark Donnigan: 20:35 That's it. Thedrmblog.com that's awesome. Yeah, kinda like thevideoinsiders.com, that's right. No, Christopher, I want to get your comment on, I think it's your latest post, where you're talking about HTML5, kind of the App-less approach, and you know, I appreciated the article. Mark Donnigan: 21:01 It was presenting a little bit of the pro's and the con's of, and I think you were doing it in the context of inflight entertainment. And, I know that people, if you're running a video service, if you're Amazon, if you're Netflix, you know, even if you're Vudu, Hulu, whatever, you know, they have to maintain up, hundred, you know, multiple hundreds of different player SDK's. You know, it's incredibly complex. So, the idea that you could perhaps, just scale that way back, and perhaps just go to an HTML5 app, is interesting. So, maybe you can share with the listeners, both, your thoughts, and the pro's and the con's, and give kind of a recap of that blog post. Christopher Levy: 21:48 You bet. And, I mean clearly, that obviously, is also effected by the evolution of Codec, and HEVC and others, but there's this trend, and the in-flight entertainment space is an interesting creature. I've spent the past two years researching this space because previously BuyDRM had a bunch of clients in the space, but they were through third parties. So, you know, we had a business with Lufthansa, Technology Solutions, where they were deploying our technology in Virgin Airlines, LL Airlines, Lufthansa Airlines. Christopher Levy: 22:24 They put the technology on Greyhound buses. Post Bus, which is the largest bus company in Germany, and we also have a little bit of business with companies like Global Eagle, and some others, and we started to look at, you know what's the opportunity for us to enter the space directly. Christopher Levy: 22:41 So, we started going, attending shows, and doing research, talking to people. So, the way that in-flight entertainment systems make it on airplanes is different than you might expect. The airline industry has about four conglomerates that all, kind of, control what you call, you know, in-flight experience. Now, the in- flight experience, you know, the video piece is what we're focused on, but it includes interiors. It includes catering. It includes environment. It includes wifi. It includes being green. Entertainment's one component of it, but it's locked in with all these other kind of aspects of the business, and so therefore, it's treated in a very, what I would say, in a very institutional manner. Christopher Levy: 23:19 To date, in-flight systems have been wired, and they're in your head rest, or it's a fold up screen if you're a business, and you're first class, it extends out a little booth you're in, and you're limited to watch videos that are in a dedicated platform that's hardwired on to the plane, and that was the experience. Christopher Levy: 23:38 Then, along came satellite. Then, along came in-flight wifi. And, IFEC, you know, in-flight entertainment. The connected version with wires, suddenly pivoted to in- flight entertainment overnight. Which means wireless, and then DRM became a big topic. But, what you started to see DRM really drive, was the issue of, do airlines want to maintain premium content apps for their clients so they can watch content? Or do they just want them to open their browser, and get on the wifi network, sign in, and then have access to all the content through a browser? Christopher Levy: 24:12 There's this trend in the business where a lot of companies have gone the direction of the browser, so like, if you get on a Southwest Airlines flight, you want to watch Dish TV live, you know, the implementation is there, on the plane. There's a dish receiver on the top of the plane that's got multiple different LMB's. Each channel is switchable. They got an encoder on the plane that takes the MPEG transport stream coming down over the dish, converts it, encrypts it, shoots it out of a server, on the plane to your browser. And that's easy, and it's fun. And it works, and it's especially effective for live TV. Christopher Levy: 24:47 Stepping away from that, when you start to talk about doing things that are more efficient, and I think where consumers are headed, which is downloads, offline playback, bring your own device, the browser kind of starts to die because it doesn't work offline well. It doesn't do downloads well, because each browser has a protected limited amount of storage on the device it's running for security reasons. And browsers, the implementation, most players in them are not that efficient, and so what you find is that the browser is quicker, it's faster, it's dirtier, it's cheaper, but it opens up the door for a bunch of fails on the consumer side. Which is, decreased battery life, forced to use streaming, which uses the wifi radio which is decreased battery life, increased overhead on the aircraft. Christopher Levy: 25:43 You don't get offline playback or download, so you can't download a stream and play it in a browser effectively offline. And lastly, consumers are very comfortable with their devices. Like, if I'm given the option of watching my ten point seven iPad pro with my bose qc thirty-five-two headphones, I'm gonna pick that every time over plugging some crappy, hand wiped headphones that hardly fit, that sound terrible, into a jack that's crackling, so I can watch a screen that has a four inch thick screen protector on it. Christopher Levy: 26:20 The airline industries are trying to figure out, okay, well what do we do, because we're not OTT operators, but how do we make clients happy? And so, they're caught in a dilemma right now. Now, you know, I see it going two ways. I frankly think the live TV will continue to be in the browser. Remember, DRM adds some overhead cause you gotta decrypt the content and add some CPU overhead therefore decrease battery life. Christopher Levy: 26:44 When you move to an app, I think apps are gonna be a lot more prevalent for VOD content and shifted viewing, and TV viewing. The last thing that's going on, that the airlines don't totally understand, and I've spent a lot of time trying to educate them about, and this is kind of a tangential issue, but I'm sure you can understand, is that every single passenger that's on an airplane, more than likely, and I said within a ninety percent or higher realm of operation, especially on International and business flights, have a Netflix, Itunes ,Google Play, Hulu account. And now, with DRM they can download all the movies and TV shows they want to their device, and just go on the plane, and have every blockbuster, every TV show, every highlight, every documentary, every podcast, that they want to. Access on their own device, and use it in their own way in their own time, in their own comfort. Christopher Levy: 27:42 So, that's kind of the big divide right now, is companies are trying to figure out, well, we can save time and money on not having to build IFE apps, and just go to the browser, but we lose a bunch of things that consumers might want. There's a couple of other things which are also driving that, and those are accessibility issues which I think, will drive a lot of companies be forced to maintain apps, and those accessibility issues. Christopher Levy: 28:03 Accessibility use on devices, you know, iPhone and Android have different functions for people that have disabilities or motor challenged, and aren't, you know, able to use the device the same way they would use an IFE platform where they gotta touch the screen in front of them, you know, reach up, and et cetera, et cetera. Christopher Levy: 28:24 Secondly is multi-track audio. Thirdly, is multi-language caption support. I think those are the three issues, are more gracefully handled within applications. Christopher Levy: 28:34 Lastly, I think applications are more likely to support advanced codecs, like HEVC, sooner. Because the applications are running on devices that are being modernized, updated, purchased more widely across a wider range of markets. And so, the people that design the player SDK's and apps, and the operating systems in the devices, are much more likely to embrace newer codecs like HEVC, then browser operators are. Because browsers update at a crawl. Christopher Levy: 29:09 So, I mean, Google is the fastest browser updater in the business. But then, if you look at Safari, and IE and Edge, it's like, you know, waiting for your Grandmother to mail your birthday present. You get it like, four months later. But you're happy you got it, so I think that's the last kind of hidden thing, is that you know, within premium apps on devices, in a bring your own device model there's a greater chance that you're gonna get higher quality content sooner with DRM than you would in a set top box, or in a seat back implementation. Mark Donnigan: 29:40 Yeah this is a really important discussion, I think for any of our listeners who are planning video services, and maybe, sort of haven't been able to do that next level of research and are thinking, "hey, you know, I can just appoint HTML five, it will reduce complexity, it will get me to market faster." Those are all true, but you have to know what you're also not gonna be able to deliver to your customer. Mark Donnigan: 30:07 One of the other things, that I didn't hear you say, maybe I missed it, but I know one hundred percent, you know to be true, is that content licensing in some cases prohibits for example, HD in a browser, or certain browsers or in certain configurations. So yeah, you may be able to deliver in to that browser, but you're limited to SD, you know? 480p or maybe 720p, but not 1080p, so you're not able to deliver even the full quality. Mark Donnigan: 30:41 Now, in-flight entertainment, the bandwidths are so low that you know, I think 1080p is not very common anyway, but the point is, is that those are even things that you have to think about. Christopher Levy: 30:53 Well, a researcher David McCannon, he's pretty famous, he's a young guy over in the UK who previously, was responsible for a pretty significant kind of white hat hack that started to turn ugly. He's a pretty brilliant guy. He published some stuff on Monday of last week that indicated that he had breached Widevine's level three DRM. Which is the lowest level of DRM, mostly used in the Chrome browser, now it appears that what he breached, wasn't exactly Google's technology, but a third party[inaudible 00:31:30] technology that Google was using to wrap up their content decryption module that sits inside Chrome. Christopher Levy: 31:37 But, it's a good example of where, devices, especially Android devices, you know, they have hardware in them that allows hardware assisted key management. So, they have a hardware manage black box that sits on the device that is basically impenetrable. And so, that's another benefit of using devices. Christopher Levy: 32:02 Apple has the same thing, so Fairplay on IOS, taps into a trusted computing module that's on the chip that's in the iPhone or iPad. Same thing with Android with Google's DRM, you can get level one Widevine playback for HD, and 4K content on the device and then you can cast that out to a much bigger screen if you want over Chromecast, or over Airplay for example. So that's, that's another example where, you know, apps are much more secure than play back in the browser. Christopher Levy: 32:34 So, what has to happen now is Google's gotta go modify, and what they're in the process of, from what I understand, of updating their content decryption module for Widevine and Chrome, so that their level three use, which is what most of the operators use, is safe. Christopher Levy: 32:51 But again, they're operating on a non-native platform to them. Windows, in the most cases. Widevine also runs in Chrome on, on, on MacOS, but in those browser models, browsers are sitting on top of operating systems that the operator doesn't always own, and so that's again another benefit to using Premium apps. Mark Donnigan: 33:15 This is an awesome lead in to a discussion about AV1, and DRM support. I don't know, have you had the chance to do some research around you know DRM support for AV1? Christopher Levy: 33:30 Yeah, I mean, we've been following it pretty closely. We are really closely aligned with some companies that are working pretty seriously on it, I mean. We're very aligned with Google, and Bitmovin, and Amazon and Intel, and some of the other people that are involved in it. Christopher Levy: 33:47 But again, the big question is, at what point does AV1 start to appear in content in browsers with DRM's? And I guess, the problem that we kinda have right now, is that that hasn't really happened, and they've done some kind of stuff playing around with Firefox, to play AV1 content. But really, it's gonna be up to, again, it's gonna be up to Apple, Google, and Microsoft. Right? Because they are the ones that own the DRM, and the browser, and so again, you've got a weird. It's not a simple economy of supply and demand, it's, there's this third, you know, Robby Botter's hidden hand that's influencing who is gonna implement what. Christopher Levy: 34:43 You've got HEVC, which is widely deployed, heavily proven in the marketplace. It's gone through some royalty and licensing politics that are pretty consistent that all codecs go through. I kinda wish sometime, the encoding business had the same oligarchy god that DRM has, where Intertrust can just licensed everybody and be done with it. Christopher Levy: 35:07 But, HEVC in comparison to AV1, in HEVC there are tons of documents on you know, Apple's developer page, Google's developer portal, Microsoft's developer portal. Showing how to use their DRM with HEVC on different platforms, and there are numerous, numerous gibset manufacturers as you well know, and which we provided you a list of, that support it. And also, its supported in a lot of the browsers already, if not all of them. Christopher Levy: 35:36 AV1, on the other hand, is kind of nowhere with any of that yet, but it seems to be, you know, a little less encumbered with the intellectual property issues. But frankly, I feel like as it gets closer to being deployed, and people start to really get their hooks in to it, we're probably going to see the same thing happen to AV1 that happened to HEVC. But, I think it's gonna happen before it ever gets widely deployed, in my opinion. Dror Gill: 36:06 You think, when you say the thing that's gonna happen are you referring to patent accusations or patent infringement? Christopher Levy: 36:21 Yeah, I try not to pick a side, because you know let's face it. If you picked our entire industry, the two most researched dollar intensive things are codecs and DRM. You could build a Codec, and at the end of spending millions, throw it in the trash, because it didn't scale. You could build a DRM, and in the end, because you weren't doing a freedom to operate analysis ahead of time, find out that you built a great technology, but it's never gonna see the light of day in the market because you are infringing on someone else's IP. Christopher Levy: 36:55 I think what's going on with HEVC is kind of normal, right? Like, all these companies invested in it. And clearly, they intend to see their return on the investment, and they're looking at what happened with H- two-sixty-four, the patent pull stuff, all the, the kind of facts that we all know that there's quite a few companies in the business that aren't reporting royalties properly, and have kind of jumped the shark there. 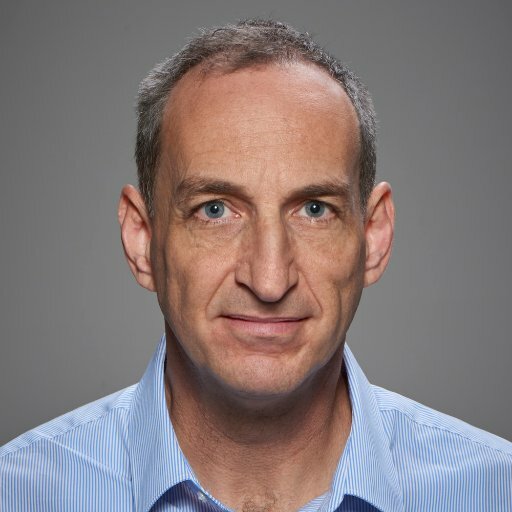 Christopher Levy: 37:20 So, I think HEVC has a better chance than AV1, if I were to weigh the two. Just because, it's, you know, all the points I've mentioned; much further widely deployed, chip support, browser support, DRM support. AV1 doesn't have any of that, and it doesn't have the encumbrances of potential legal battles, yet. But, I don't know. What do you guys think is gonna happen, when it comes time to walk the aisle with AV1? Dror Gill: 37:46 Indeed, nobody is giving you identification against any patent lawsuits for AV1. The companies involved in developing the codec itself, have signed agreements that they will not switch other, or the users of AV1, but this doesn't mean that somebody else will not claim any IP rights on algorithms used in AV1. Dror Gill: 38:18 And, on the other hand, the conclusion that we reached is that, the fact, it is well know that AV1, right now, is much more computationally complex then HEVC. Right now, it's like a hundred times more complex, and even the people involved in AV1 development have told us that in the end, when everything is optimized, it will still be five to ten time more complex than HEVC. Dror Gill: 38:49 And, we think that one of the reasons for that is all of that side stepping of patents. All of these techniques, which to be efficient in terms of bitrate consumption, as HEVC, but cannot use the same tools, and therefore I have to go in very weird ways around those protected methods in order to achieve the same result. And this is part of the problem, and why it is so computationally complex. Dror Gill: 39:26 Recently, I've come up with yet another conspiracy theory after hearing that a lot of the decisions made, somebody wrote this in a blog post. A lot of the decisions that were made during the development of AV1 were driven by the hardware companies were members of the AOM. Christopher Levy: 39:47 I was just gonna say that, Dror, is that A. There's not free lunch whether it's physics, mathematics, which is you know, part of physics in technology, in relationships, in religion, and that doesn't surprise me. Christopher Levy: 40:02 But, what I was gonna point out, was Occam's razor says, "the simplest answer is more than likely, the answer," is correct. I would say, that is what's driving it, because let's face it, I mean, there's not a person working on it that doesn't benefit from that. I'm pretty sure that Google, Amazon, Microsoft, Apple, all the other companies sell computing software, and technology and silicon, and intel, so I can't imagine why that wouldn't be the case. Christopher Levy: 40:32 But, you make a good point, that regardless of the fact that their trying to ignore the three laws of thermodynamics. I imagine they are, have a strategy for how they're going to sort that out, but the question is, will it really work? And, the only thing too, is if they don't adopt DRM into their message share pretty soon, and start showing examples of AV1 content with DRM, it's just gonna be another Ultraviolet. It's gonna be shiny. It's gonna sparkle. It's gonna have all the right looks and feels. It's got a cool logo. The stuff on the side is really cool, but will people use it, or is it just gonna be another augmented reality, virtual reality three-d, a year from now? Mark Donnigan: 41:14 You know, I sometimes find myself feeling a little agitated or sitting in a conference, and I'm listening to a panel, and I'm hearing either a panelist or even Mozilla, you know, saying, you know," it’s coming, player support is coming. It's just months away. It's gonna be in the browser." And then they start, and I'm going, so, really? So, Sony pictures, and Warner Brothers is gonna allow you to play their movies inside a browser without DRM? Yeah. Let's see how that works. You know? Like? Then you've got up on the stage usually, or you hear speakers, and they're throwing off big service names, and Netflix is heavily behind AV1, so I am not naïve that Netflix is having these discussions, I'm sure. Christopher Levy: 42:28 I mean, nevermind the battle that was fought at the W3C by all the media companies just named, and a hundred more, along with Google, and Apple, and Microsoft to implement DRM in the browser, because they know that's where people want to view content on their computers, whether it be desktop or laptop. Christopher Levy: 42:46 But, they didn't do all the work, and engineering to get MSC and CDM's working to just all of the sudden, say, "see we're gonna throw it out the window because there's this new Codec in town." Mark Donnigan: 43:00 Yeah, exactly. Exactly. So, wow. Well, I'm looking at our time here. This has been an amazing discussion Christopher, and we absolutely, need to have you back because we didn't get to talk about players, and I know you guys are active, and I know also in the player development. So, I think, Dror, what do you think? I think a part two should be players. Dror Gill: 43:24 You know, Mark, Christopher did make this analogy between Codecs and DRM in one of the first episodes we told. Like the story of the Codecs, how they've been developed and DRM is also really a fascinating story, and even more because it's beyond standards that spam dozens of companies. It's really a few companies holding the power, holding the key, and that's also the DRM key. In the whole industry, and how it's gonna develop in the future I think would be really interesting to see whether we are going for true standards, finally, and a much easier life for consumers to play their content anywhere, or do we still have few years of struggling? So, really, thank you very much, Christopher. Mark Donnigan: 44:16 Christopher, your website is Buydrm.com, correct? Christopher Levy: 44:23 That's correct, and the blog is thedrmblog.com and once you guys get this podcast up and done, we'll go ahead and feature it on the blog, and I just wanted to quickly mention that in the next couple of days, we're gonna have a new blog post come out about deploying secure SDK's. And, we tackle a lot of the issues we talked about here in a generalist way. We do talk about our own SDK players, but I'll notify you when that blog is up. I think your readers will find it interesting. Christopher Levy: 44:53 We're also have an HEVC update on our blog, but after today once you post the final edited blog, then we'll go ahead and roll out our update that I provided you with regards to kinda where the market's at as well. Mark Donnigan: 45:09 Awesome. Awesome. Sounds good. Okay, well, we want to thank you again for listening to this incredibly engaging episode of the video insiders and until next time, what do we say Dror? Encode on? Is that our new..? Dror Gill: 45:29 Encode on! Encode happily! Mark Donnigan: 45:30 Encode happily, we've got to come up with something. Dror Gill: 45:32 Yeah, we need to invent something like, you can never compress too much. Mark Donnigan: 45:36 That's right, you can never compress too much, but you must preserve all the original quality. Alright, have a great day everyone. Thank you for listening. Announcer: 45:47 Thank you for listening to the Video Insiders podcast. A production of Beamer limited. To begin using Beamer's Codecs today, go to Beamer.com/free to receive up to one hundred hours of no cost HEVC and H.264 transcoding every month.